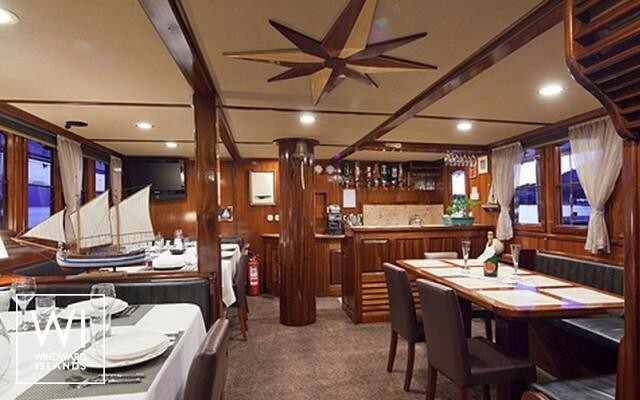 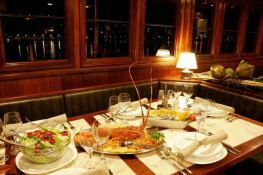 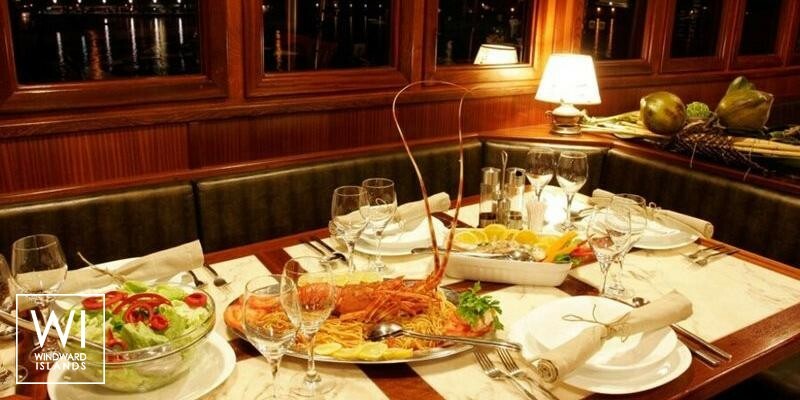 This traditionnal motorsailor will offer you an excellent food, comfortable cabins, large outdoor area with classic upper deck, well trained crew for a wonderful cruising around Adriatic coast. 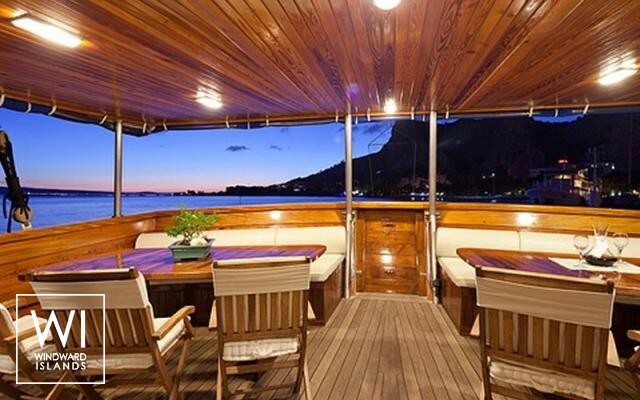 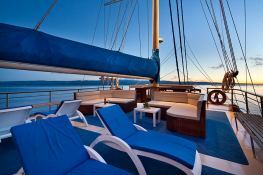 Turkish Gulet's - TJC 31M sailing yacht hosts up to 18 passengers and its crew comfortably. 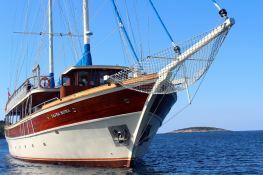 Sailing in Croatia, she is fully equipped with air conditioning, BBQ, equipped galley, generator and also fishing equipment, kayak, waterski, waverunner, DVD and video games for leisure. 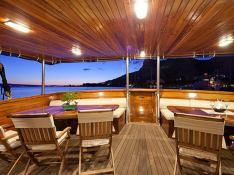 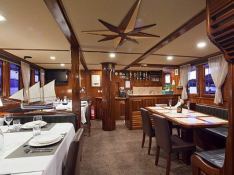 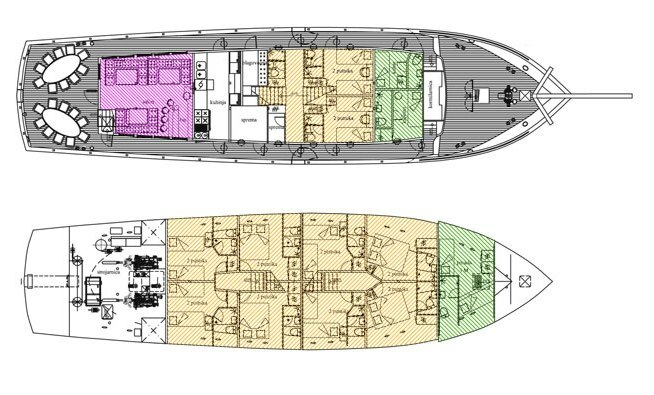 This crewed sailing yacht is available for yacht charter with a base price of 14 500 € (approximatly 16 352 $).